LYDE Green’s third annual Summer Sizzler saw families come out in their droves to make the most of the sunshine. 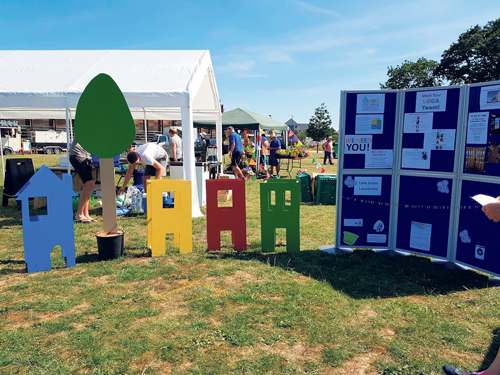 Taking place on Saturday July 7, the event was organised by Lyde Green Community Association (LGCA) and took over the space outside the Bristol and Bath Science Park on Dirac Crescent from 11am to 4pm. As part of the stalls on offer, visitors had the opportunity to meet LGCA, find out more information about the newly handed over Lyde Green Community Centre and support them by buying a raffle ticket for the chance to win prizes such as clubhouse vouchers from The Kendleshire golf club, adult colouring books and wine glasses. In addition, there was also the chance to find out more about local travel services from travelwest and meet local community groups such as Lyde Green Neighbourhood Watch. For the little ones, playgroup providers Little Play at Lyde Green also offered biscuit decorating, and there was also an inflatable fun fair, face painting and glitter tattoos. Performances included a demonstration from BMX freestyler Matti Hemmings, music from Rat Pack Singer Danny Guest, Mangotsfield Primary School choir and Sounds Delighted community choir, as well as an energetic routine from Dance Station. The Fun Charity Dog Show supporting StreetVet by Vets4Pets Bristol Emersons Green had to be cancelled due to the hot weather. 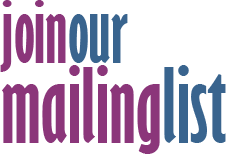 Refreshments includeda barbecue provided by Emersons Green Scouts, Coffee at Lyde serving iced drinks and cakes and Vintage Box Catering offering gin, Pimms and craft beers. In addition, Pizza Adorare, Crust & Crumbs and Complete Waffle also had stalls. Kelly Adams, chair of LGCA said: “We’re really proud to see the Summer Sizzler growing and we were thrilled by the support from performers, stall holders and businesses who donated some great raffle prizes. “It was brilliant to see such a good turnout in spite of the blistering heat and the competition with the football! The Sizzler is all about bringing the community together and providing some summer family fun so we hope everyone enjoyed it. We’ve also been really lucky that as a charity made up of volunteers so many people gave up their time for free to help with the preparations or on the day - thank you all! If you’d like to join Lyde Green Community Association’s events team and get involved in helping to organise next year’s Summer Sizzler on Saturday July 6, email lydegreenca@hotmail.com.